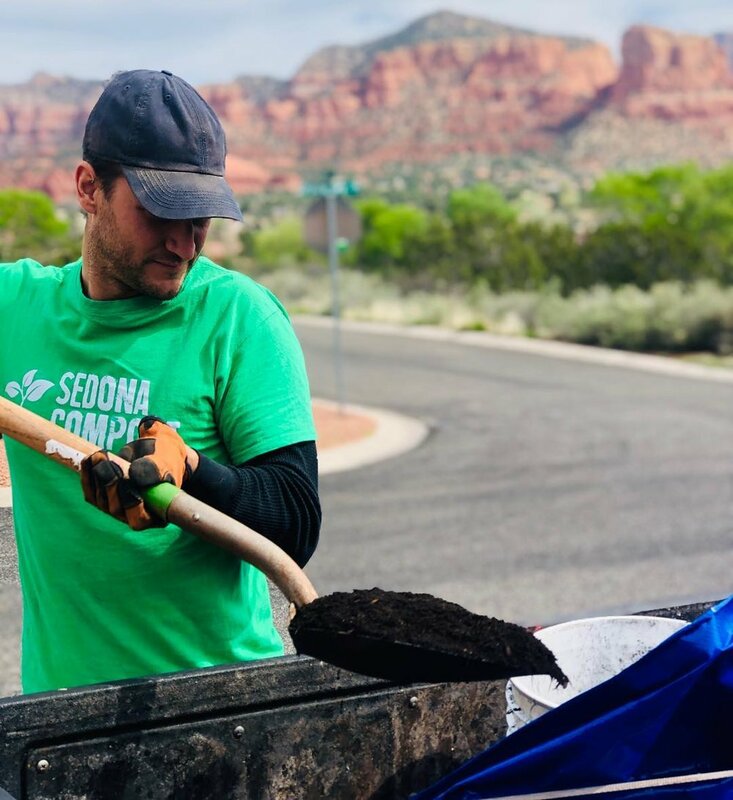 Compost Crowd, formally known as Sedona Compost, is expanding its food scraps collection service to Flagstaff this spring! Owners, Kathleen Ventura and Brock Delinski, announced a residential bi-weekly collection pilot for 30 households in Flagstaff in late March. Biweekly service includes 2 collections a month on Thursdays plus completed compost once a year. The concept is simple, members fill their collection bucket with food scraps like banana peels, coffee grounds, and apple cores, then on Thursday they put their bucket on their porch. Compost Crowd comes and collects the full bucket and leaves a clean one in its place. After their success in Sedona in 2018, they were eager to expand their service area to include Flagstaff this year and increase the environmental impact. Knowing that if food waste were a country it would be the third largest emitter of greenhouse gases just behind the US and China drives the mission of Compost Crowd to divert as much food waste from the landfill as possible. Compost Crowd hopes to quickly expand Flagstaff services to include a weekly residential option and commercial collection for local businesses and restaurants.